The play that showed just how skilled Iowa State junior Deshaunte Jones is doesn’t count. Technically, it never happened. That doesn’t mean the Cyclones aren’t excited about it. 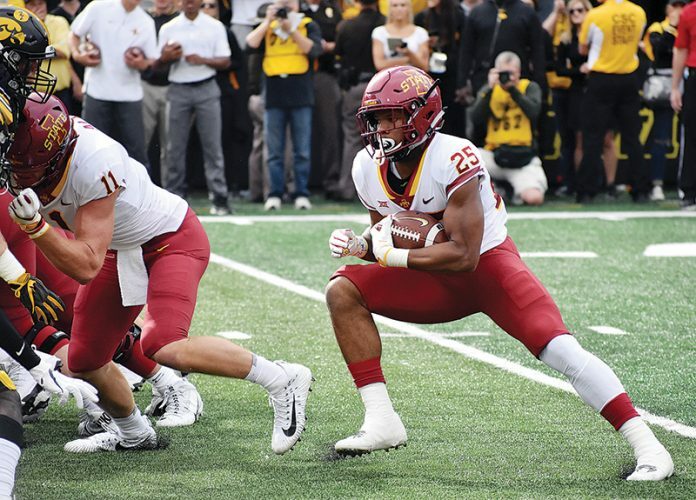 Jones took a short pass from Kyle Kempt near the sidelines and wove through South Dakota State’s defense for a 55-yard touchdown to put the Cyclones up 7-0 on Saturday. Moments later, the skies opened up for a series of storms so severe that Iowa State was forced to cancel the game. Jones’ touchdown was subsequently wiped off the books. But it was a reminder of how explosive the Jones can be as Iowa State (0-0) prepares for Saturday’s showdown at Iowa (1-0). It also speaks to the work he put in this spring and summer. Jones, now listed at 5-foot-10 and 185 pounds, had a relatively quiet 2017. He seemed overshadowed a bit during Iowa State’s resurgent season, in part because the Cyclones needed much more out of Jones in 2016. Jones was one of the best rookie receivers in America two years ago after converting from quarterback. Jones came to Ames as a rare four-star recruit to pick the Cyclones, and he made an immediate impact by catching 37 passes for 536 yards and six TDs. He led Iowa State with five grabs of at least 40 yards, and he looked like the next star receiver in a league full of them. 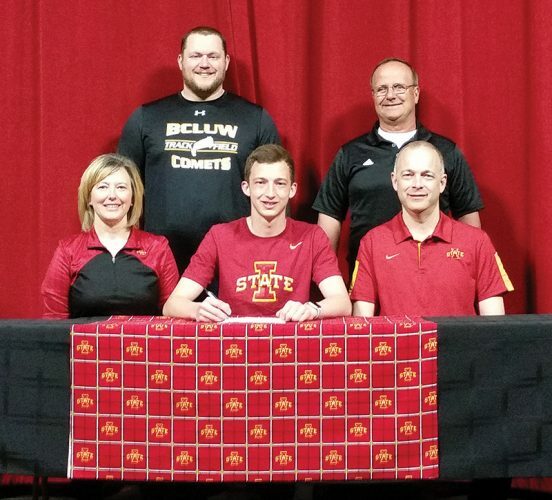 Last year, Iowa State added to its depth at receiver and quarterbacks Jacob Park and Kempt had more targets to choose from. Jones still made an impact, catching 28 passes for 273 yards, but he never found the end zone. With a number of starting wide receivers leaving the program, led by star Allen Lazard, the onus was on Jones and Hakeem Butler at the top of a rebuilt depth chart. Jones spent the offseason putting on the kind of weight he’ll need to survive a 12-week season — now likely just 11 weeks — without sacrificing the speed that makes him so dangerous. According to Kempt, he could tell in fall camp that Jones might be poised for a breakout season.